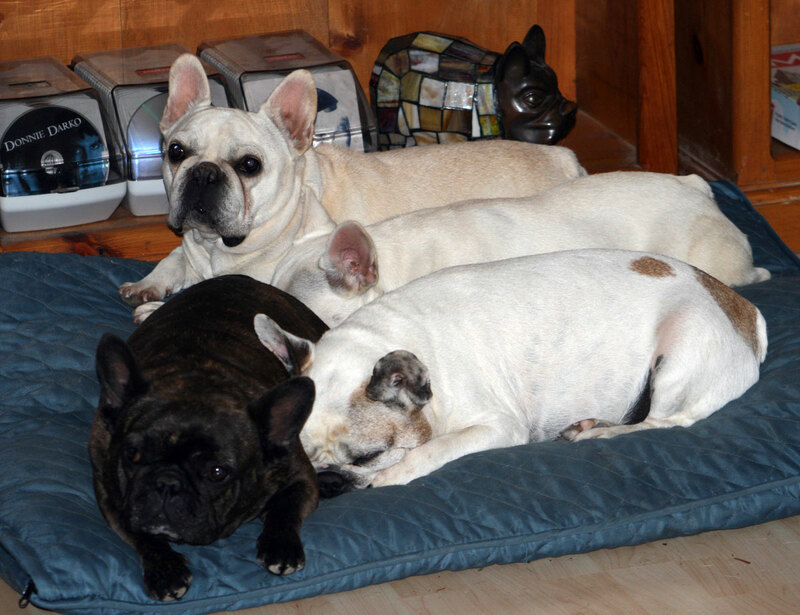 I’m about to begin a series of posts about French Bulldog coat colors. This can be taken as a warning, for those of whose eyes glaze over whenever this topic comes up. I’m most definitely a layperson, and not a geneticist, so bear that in mind when reading.